To all those who are looking for faculty jobs in Dental Colleges, we would like to introduce ourselves as a trustworthy Placement Consultant in the healthcare industry. We are a Hyderabad-based Recruitment Consultant with tie-ups with some of the leading Dental Colleges in the country. All you need to do is to contact us and share your credentials with us, and you will be landing your dream job with a handsome salary package. Whether you are seeking a job as an Oral Pathology professor or an Orthodontics lecturer, our industry specific knowledge can be of great aid to you! 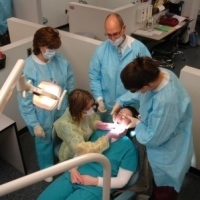 We also specialize in offering turnkey staffing solutions in Dental Colleges.